The unveiling of the first full closeup of the asteroid Vesta today. Scientists unveiled the first full closeup of the asteroid Vesta today. 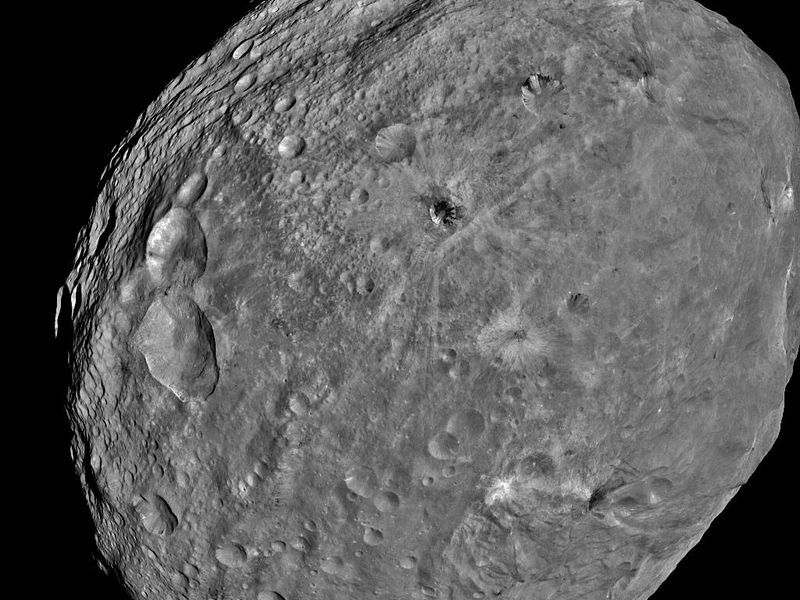 The picture, stitched together from frames taken by the Dawn spacecraft from a distance of 3,200 miles on July 24, shows mysterious parallel grooves around the asteroid’s middle, which may have formed when Vesta contracted, then expanded after a giant impact early in its history. See more Dawn images here. The movie shows the asteroid rotating over a period of 5.3 hours.